Amber Boardman’s portrait features an alter ego of hers called Jade – the name her mother originally wanted to call her. She has been developing the character over the last three years. ‘Jade looks aspiringly to online representations of beauty, selfie culture and trends such as “self-care” and “me time”, but finds that trying to relax has become yet another thing she must add to her daily to-do list,’ says Boardman, who was born in the US in 1981 and migrated to Sydney from New York in 2012. ‘Jade attempts these “self-care” tactics simultaneously, surrounding herself in the bath with a glass of wine, a blender full of green smoothie, self-help books, candles, a facial mask, a yoga mat, and her newfound hobby, painting. 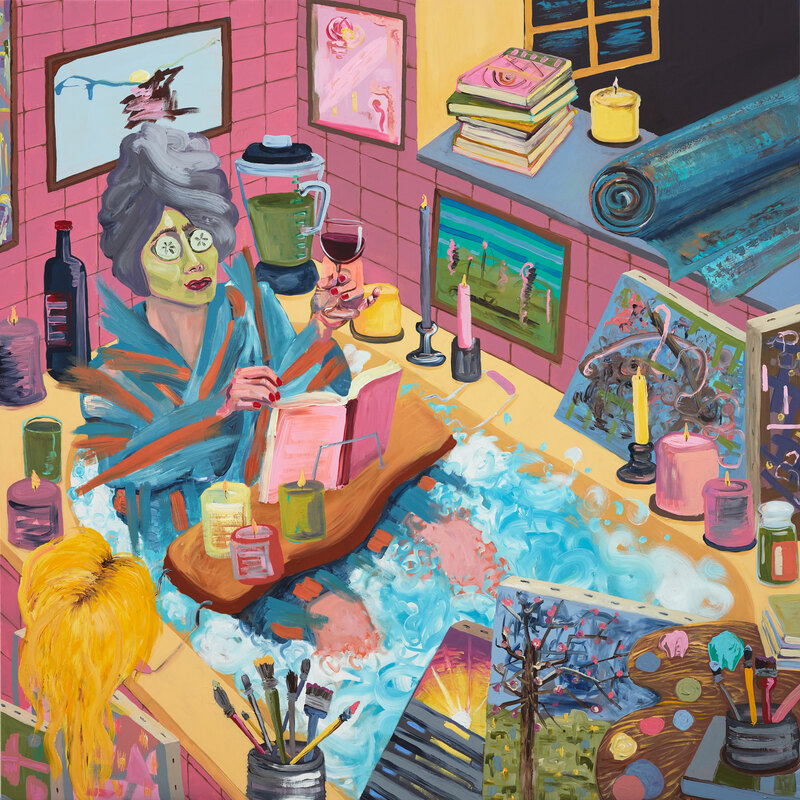 ‘On the surface, this painting – which is partly inspired by internet memes on the topic of self-care – is funny because she looks ridiculous and is trying too hard. On a deeper level, it questions consumption, wellness culture and the frantic pace of life,’ says Boardman. This is Boardman’s first time in the Archibald Prize.